Beautiful doesn’t always have to equal expensive. At Dennis Family Homes we strive to build beautiful, functional and stylish homes that are also affordable. If you’re looking for a quality home builder that can deliver a truly beautiful home that won’t break the bank, we’re the builder for you. Here’s a look at some of our incredible home designs that you could build for under $200,000. 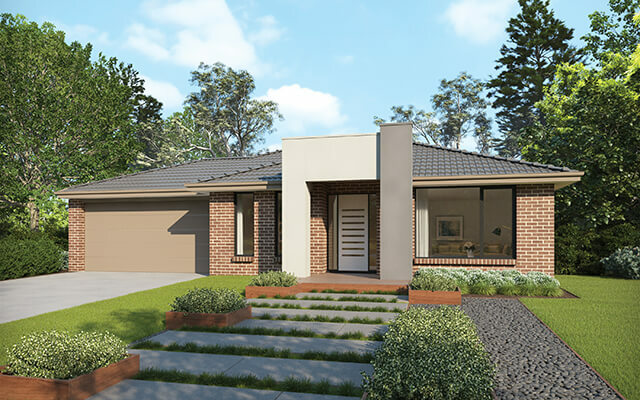 If you’re searching for a home to fit a narrow block, when you build with the Dennis Family Homes, you can take your pick from 10 stylish home designs suitable for lot widths of 12.5 meters or less. The Venetia is a fantastic option, with 20 floorplan options ranging from 22-25 squares and 4 façade options to choose from. With 3 bedrooms, an incredible 3 living areas, plus a walk-in pantry to the kitchen, you’ll have everything you need and more. 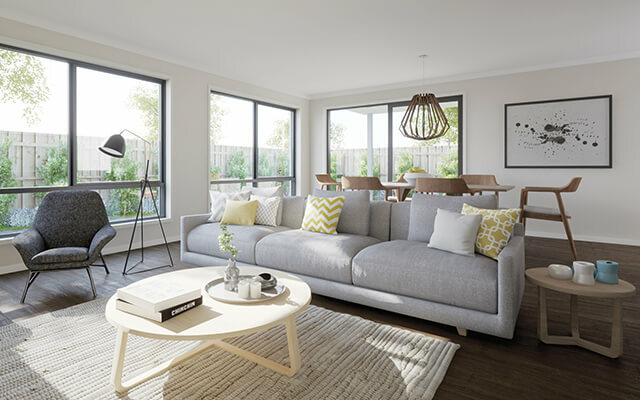 If three bedrooms isn’t enough, the Oxford is a generous 23 square home with 4 bedrooms, separated living areas and 4 façade options to choose from. At our Wodonga display centre, we have the sister product Waterford on display if you want to get a better feel for the home. We can even cater for the narrowest of blocks, with the slim Ardina home design which can fit on blocks as narrow as only 8.5 meters wide. You won’t even have to sacrifice on features with 3 bedrooms, garage, walk-in wardrobe and ensuite to the master bedroom and open plan kitchen, meals and living with island bench. Other great options to consider for narrow blocks under $200,000 also include the Alberta, Cambridge, Crystal, Jade, Jardean, Onyx or the Oxford. While we all love to spend time as a family, sometimes a single living area is simply not enough. If you’re looking for a home design under $200,000 which includes more than one living area, it’s hard to look past the Lincoln 21. This three-bedroom home includes the option of two three living space, along with an alfresco area, extra-large walk-in pantry to the kitchen and walk-in wardrobe and an ensuite to the master bedroom. Other great options to consider if you’re in need of multiple living areas include the Columbia, Harvard, Pearl or Windsor. At Dennis Family Homes, we also cater for larger families in need of more bedrooms. If you’re looking for a four bedroom home for less than $200,000, the Northhampton or the Princeton are great options, or the Kimberley. 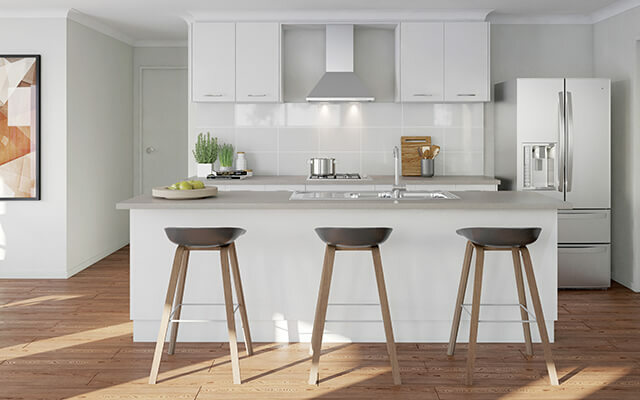 If you still haven’t found a home design to suit your family, other Dennis home designs which cost less than $200,000 to consider include the Birmingham, Curtin, or the Ekati. All of the home designs mentioned are from our Aspirations series of homes, which include all the essentials you need, without compromising on quality. View our Aspirations series inclusions. With so many affordable home designs to choose from, we’re sure to have one to satisfy no matter what your criteria is. Contact us to find out more about any of our home designs, or to discuss our house and land packages. 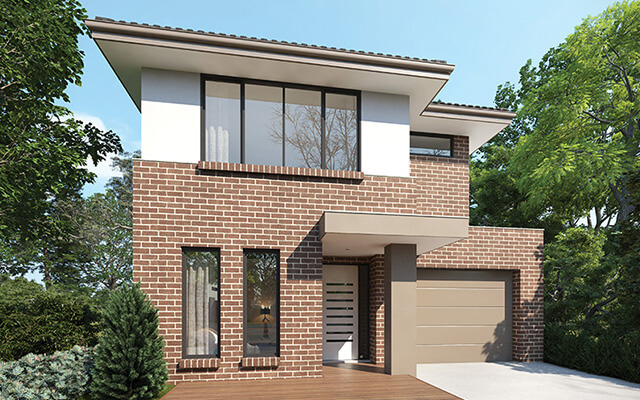 *Prices are (i) based on standard inclusions and facades for Melbourne Metro price region only (ii) exclusive of Developer requirements (iii) based on a “Low” BAL level (iv) correct as at the time of publishing but may change without notice (v) exclusive of stamp duty, legal fees and other purchase costs. Note: Site costs (including but not limited to) site fall, rock removal and connection costs may increase contract value. Please refer to your building contract for binding terms or visit dennisfamily.com.au for more information.